1Must qualify through GM Financial. Not available with special finance, lease, or some other offers. Take delivery by 04-30-2019. See dealer for details. - ELIGIBLE CUSTOMERS ARE THOSE WHO CAN DOCUMENT BEING AN OWNER/LESSEE OF A 2005 OR NEWER NON GM (I.E., NON-BUICK, CADILLAC, CHEVROLET, GMC, HUMMER, OLDSMOBILE, PONTIAC OR SATURN) PASSENGER CAR OR TRUCK. 1Must qualify through GM Financial. Not available with special finance, lease, or some other offers. Take delivery by 04-30-2019. See dealer for details. 2Not available with lease and some other offers. See dealer for details. 3Not available with special financing, lease and some other offers. See participating dealer for details. 4- ELIGIBLE CUSTOMERS ARE THOSE WHO CAN DOCUMENT BEING AN OWNER/LESSEE OF A 2005 OR NEWER NON GM (I.E., NON-BUICK, CADILLAC, CHEVROLET, GMC, HUMMER, OLDSMOBILE, PONTIAC OR SATURN) PASSENGER CAR OR TRUCK. - THIS OFFER CAN BE TRANSFERRED TO INDIVIDUALS RESIDING IN THE SAME HOUSEHOLD. BOTH THE TRANSFEROR'S (ORIGINAL INTENDED CUSTOMER) AND TRANSFEREE'S RESIDENCY MUST BE VERIFIED WITH CURRENT DRIVER'S LICENSE OR STATE IDENTIFICATION. 1Must qualify through GM Financial. Not available with special finance, lease, or some other offers. Take delivery by 04-30-2019. See dealer for details. 2Not available with lease and some other offers. See dealer for details. 3Not available with special financing, lease and some other offers. See participating dealer for details. Steves Double Cab Savings. See Dealer for Details. 1Steves Double Cab Savings. See Dealer for Details. 2Not available with special financing, lease and some other offers. See participating dealer for details. 3Must qualify through GM Financial. Not available with special finance, lease, or some other offers. Take delivery by 04-30-2019. See dealer for details. 4- ELIGIBLE CUSTOMERS ARE THOSE WHO CAN DOCUMENT BEING AN OWNER/LESSEE OF A 2005 OR NEWER NON GM (I.E., NON-BUICK, CADILLAC, CHEVROLET, GMC, HUMMER, OLDSMOBILE, PONTIAC OR SATURN) PASSENGER CAR OR TRUCK. - THIS OFFER CAN BE TRANSFERRED TO INDIVIDUALS RESIDING IN THE SAME HOUSEHOLD. BOTH THE TRANSFEROR'S (ORIGINAL INTENDED CUSTOMER) AND TRANSFEREE'S RESIDENCY MUST BE VERIFIED WITH CURRENT DRIVER'S LICENSE OR STATE IDENTIFICATION. 1Not available with lease and some other offers. See dealer for details. 2Must qualify through GM Financial. Not available with special finance, lease, or some other offers. Take delivery by 04-30-2019. See dealer for details. 3Not available with special financing, lease and some other offers. See participating dealer for details. 1Not available with special financing, lease and some other offers. See participating dealer for details. 2Must qualify through GM Financial. Not available with special finance, lease, or some other offers. Take delivery by 04-30-2019. See dealer for details. 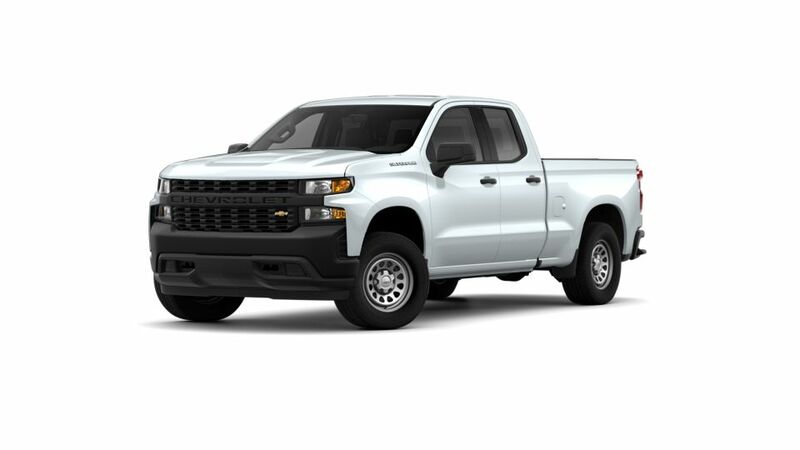 One of the burliest full-size trucks, the new Chevrolet Silverado 1500, available in Chowchilla, not only offers a class-leading towing capacity, but also a powerful engine. It showcases a quiet yet upscale cabin space, which is brimming with latest infotainment options. Comfort and class are conjoined together under one roof of the new Chevrolet Silverado 1500, offered in Chowchilla. Whether you require a work truck, an adaptable family hauler or a weekend trooper on road or off road, this light-duty truck has got your back. The unmatched fuel efficiency of the new Chevrolet Silverado 1500 will leave Chowchilla drivers spellbound at what this pick-up can achieve. An eight inch diagonal color touchscreen for navigation, a premium audio speaker system and Bluetooth for connectivity are some of the features for your comfort and convenience. Our entire stock of the new Chevrolet Silverado 1500 in Chowchilla can be found here on our site. Steves Chevrolet of Chowchilla features a full collection of Chevrolet vehicles, along with used cars, trucks and SUVs at our Chowchilla dealership. Our company offers competitive pricing, making our dealership worth the short drive from Fresno. Find your next new car with Steves Chevrolet of Chowchilla and spend less today at our greater Chowchilla new and used auto dealership! get pre-approved instantly! obten pre-aprobacion instantaneamente!